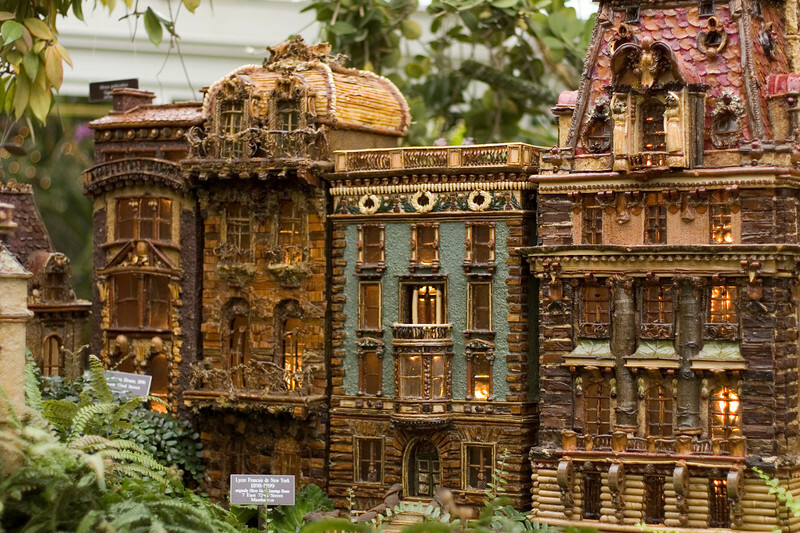 Every year the New York Botanical Gardens puts on a Christmas electric train extravaganza. Acutally it is the models of the buildings, bridges, and monuments that really impress me. Each one is made almost entirely of plant material; seeds, leaves, shells, bits of bark and twigs and vines, all meticulously put together into truely incredible creations. If you are anywhere near NYC during the Christmas season I would sincerely recommend visiting the Gardens and checking out this marvelous display. Some warnings, no tripod shooting is allowed, and if it gets crowded they ban the use of monopods also. In addition, the display is very popular, if you go on the weekend expect lots of people.